Did we mention that we won an award? A National Award?? So…. that officially now makes us an AWARD WINNING BAND ?????? 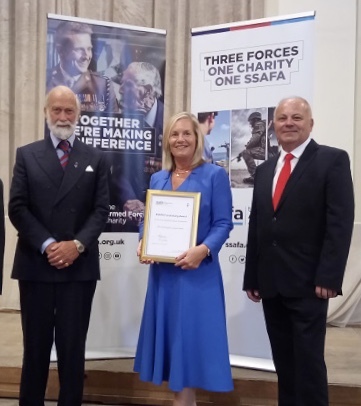 This is the official picture of our Chair Catherine McClintock and Band Manager Ade Frampton receiving the award from HRH Prince Michael of Kent. 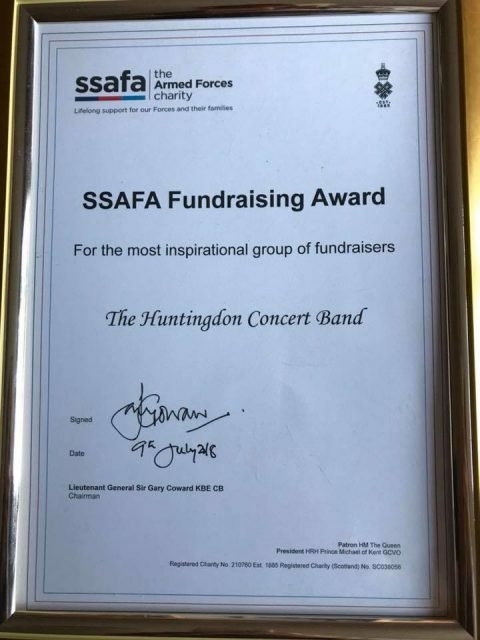 It was presented to us for our fundraising efforts over the last 8 years for military charity SSAFA. To date we have raised over £20k for them! We’re pretty proud of this achievement… so you may well hear more about us being an AWARD WINNING BAND in the future ? ?